Taste test: The triangular tortilla chips had a very nice taste, with a good mix of corn and cheese flavors. 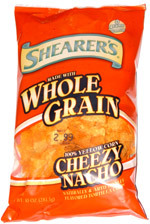 They were not as crisp as most nacho cheese tortilla chips, and that could be related to the whole grain flour used. 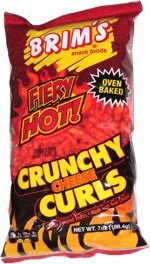 These were very popular among our tasters, who quickly devoured the bag. Smell test: Nice cheese and corn smell.